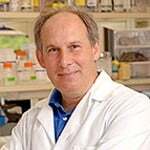 Dr. Dennis Drayna joins Peter Reitzes to provide StutterTalk listeners with an end of the year genetics update. Dr. Drayna discusses recent research, answers listener questions and reports that his team at the NIH recently discovered a fourth stuttering gene. Dr. Drayna shares that these four stuttering genes account for between 12-20% of stuttering cases worldwide. The interview ends with a fascinating discussion regarding research in progress which looks at the vocalizations of mice engineered to carry a mutated gene and the speech of people of people who stutter. Dr. Drayna reports that there is a difference in “the timing of vocalizations” and something “not quite right” in the mice with the mutated gene which may be similar to human stuttering. Dennis Drayna, Ph.D., is Senior Investigator at the National Institute on Deafness and Other Communication Disorders at the National Institutes of Health (NIH). Read more about Dr. Drayna at the NIH website here. Dr. Drayna’s other StutterTalk appearances are archived here.